The first mass produced M1, this fixed bale helmet has the short chinstraps which were unable to be affixed around the rear of the shell, the shell is a McCord manufactured front seam with rough textured paint. The fibre liner was made by Hawley Products Co and were made of two layers of compressed fibre, these liners were replaced in 1942 due to their poor durability in humid climates (Pacific) in the early years. This type has the early rectangular retention washers and light grey rayon webbing with a fixed size sweetband. The leather liner strap is of the first type fixed to the liner. 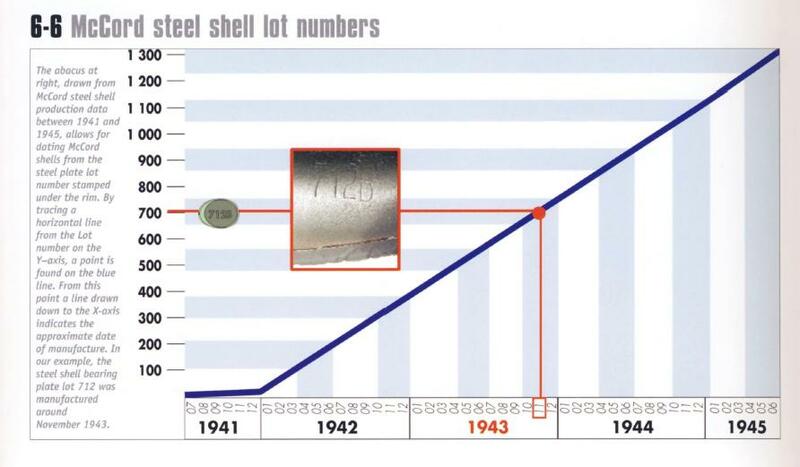 A batch number "75D" is stamped into the front interior rim, this dates this helmet late February 1942 (See chart below for dating McCord shells). ​At the foot of the page you can also find an identification chart of the liner manufacturers.